Born in 1564, the young Galileo was nurtured in the lofty intellectual environment of Late Renaissance Tuscany. His father introduced him early to the Medici academies, where he was drawn irresistibly to mathematics from an early age. Before Galileo was appointed professor of mathematics at Pisa (1589) and Padua (1592), all scientific learning came from books arguing for or against Aristotle’s writings. Galileo taught that you could learn much more by studying nature, and in the process became the founding father of experimental physics – he showed that air had weight by weighing a pig’s bladder full of air, then puncturing it to show the difference; he defied the Aristotelian concept of opposites in nature by inventing the principle of the thermometer, demonstrating that hot and cold were merely relative aspects of the same phenomenon, which he called temperature; he debunked Aristotle’s precept that heavy bodies had a tendency to fall and light ones to rise with his famous Leaning Tower experiment, when he dropped variously sized balls and bullets and weights simultaneously and they all hit the ground at once. In 1609, news reached Galileo of a Dutch spectacle-maker who had made a pipe with lenses that enabled one to see ships far out to sea. Galileo quickly put together one of his own with a convex lens in front, and a concave lens behind, that he soon improved to make the first telescope – with a magnification power of 30. 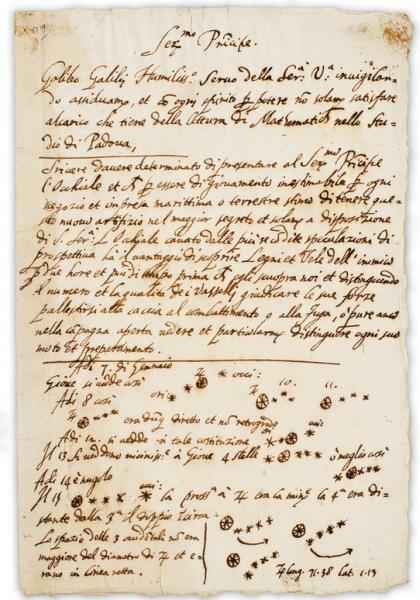 Even so, when Galileo pointed his instrument at the heavens, it was an incredible revelation: he was the first man ever to see the surface of the moon, the moons of Jupiter, what appeared to be ears on Saturn (his telescope was too weak to discern the rings), the phases of Venus, the the Milky Way, and sunspots, although the last discovery permanently affected his eyesight. In 1610 he published all his discoveries in a little book called Sidereus Nuncius, ‘The Starry Messenger’. An instant celebrity, Cosimo de’ Medici made him Grand Ducal mathematician and philosopher. Galileo (along with many Jesuits) had long believed in Copernicus’s De Revolutionibus Orbium Coelestium (1543) and its theory that the earth revolved around the sun. 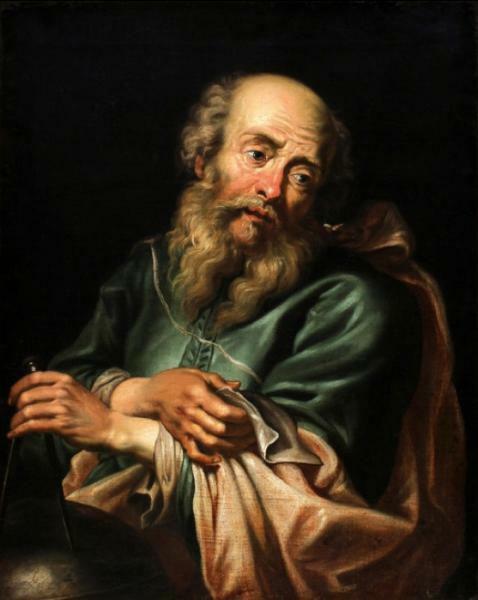 However, by 1615, so many theologians thought that the theory was inconsistent with biblical teachings that, in spite all of Galileo’s energetic efforts in Rome, De Revolutionibus was placed on the Index of prohibited books until it could be amended with a statement that it was an unproved hypothesis. The Holy Office then forbade Galileo from teaching it. In 1624, the 60-year-old scientist went to Rome and asked Pope Urban VIII to discuss Copernicanism in a new book, emphasizing to the Pope that it was to the glory of the Catholic Church to promote learning. He spent the next five years writing (in Italian, instead of the usual Latin) the first-ever book of popular science, a witty and lively masterpiece called the Dialogue on the Two Chief Systems of the World, in which three characters (a Copernican, an Aristotelian and an amateur) discuss the two systems, with the Copernican clearly winning the argument. In 1737, when Galileo's body was removed to a monumental tomb in Santa Croce next to his beloved daughter Virginia (Sister Maria Celeste), his admirers pinched three fingers, a tooth and a vertebra. His middle finger has long been on display in Florence's Museo di Storia della Scienza (now renamed the Museo Galileo); in 2009 when his other fingers and tooth appeared in an auction, they were purchased by the city and reunited with the other bits. His vertebra, however, is in Padua.